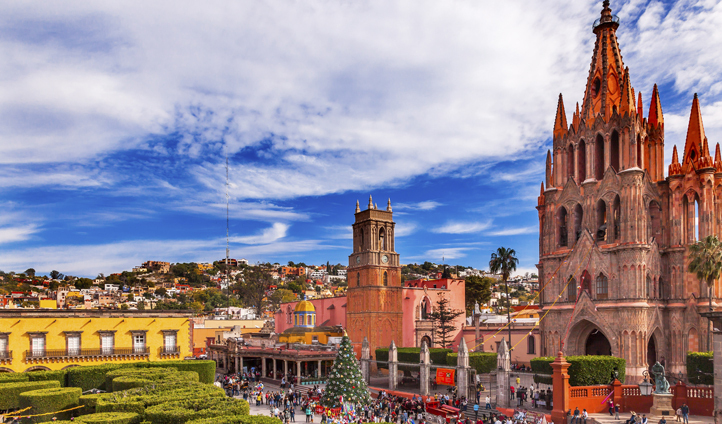 Forget Cancun and Los Cabos, you’ll fall in love with this city, and your hotel, within minutes of arriving in San Miguel de Allende. A hidden gem when it comes to Mexico, those fortunate enough to venture there will not be disappointed. After visiting once, you’re sure to become a repeat visitor. Choose Rosewood’s luxurious retreat, a prime location to explore all the sites, whilst still feeling tucked away in romantic seclusion. With only 67 beautifully appointed rooms and suites, you’ll feel right at home at this boutique gem. Just an hour and a half drive from Guanajuato International Airport, Rosewood is nestled right in the heart of this magical city. You’ll find your colonial style hotel in the historic center surrounded by cobbled streets and many beautiful landmarks, namely Parroquia de San Miguel Arcángel, the pinky-colored church that gives the city its ‘fairytale’ feature. Watch the world go by at El Jardín, the city’s designated people watching spot and shaded by the fairy-tale church. There’s always something entertaining going on here, from mariachi bands to religious ceremonies. With 67 rooms and suites, at Rosewood you’ll easily find one that’s perfect for you. Whether it’s on the top floor or has its own private elevator, you’ll feel like king of the castle whichever you go for. The contemporary work of prominent Mexican artists on display in various corners of the hotel is a reflection on Mexico’s vibrant and colorful cultural heritage. We love the Rooftop Colonial Suite, offering spectacular panoramic views of San Miguel’s skyline. With its sprawling palatial terrace, you’ll find it difficult to tear yourself away from a glass of wine overlooking the city beneath you whilst enjoying the very agreeable climate. As if your colonial style suite, adorned with Italian Rivolta Carmignani linen and hand carved furniture, wasn’t enough to entice you, the hotel also boasts 3 pools (one of which is overlooked by the restaurant), a fitness center, hot tub, and a wine cellar. 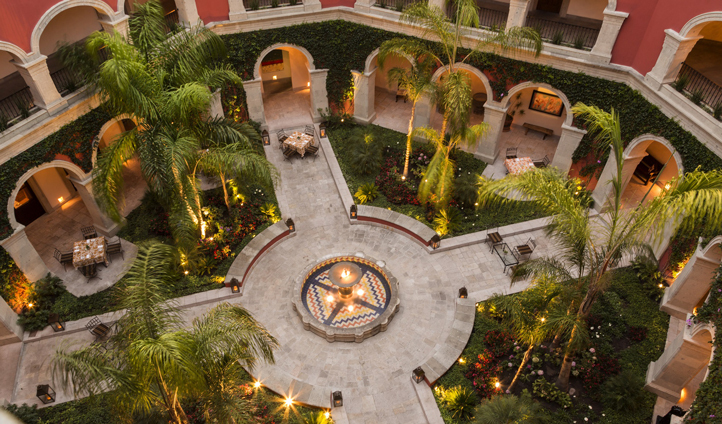 This really exudes true luxury in the heart of arguably Mexico’s most quaint city.